5 Best Foods To Boost Your Mood! Bad day at the office? Turn that frown upside down without turning your health upside down, too. Here are 5 good-for-you foods that will help to boost your mood! Life throws stressful circumstances at you every day: traffic, rain, poor Internet connections, and worst of all, when someone steals your squat rack. How much any particular aggravator gets you down is highly personal, but sporting a consistently sour mood can have serious ramifications for your health and physique. Being the office grump and having a negative outlook on life has been shown to increase your risk for heart disease, cancer and overall mortality. Even more, the negative state-of-mind increases the likelihood that you'll favor processed, high-calorie foods over more nutritious options. Fortunately, you have options! Certain foods can help support a positive outlook when you put them in the rotation regularly. The next time you feel like blowing off the gym for a night curled up on the couch with a bag of greasy chips, make a beeline for the grocery store and check out these feel-good items. Moreover, Swiss scientists showed that eating a little over an ounce of dark chocolate—the darker the better—daily for two weeks reduced the levels of the stress hormone cortisol. How to use it to boost your mood: Take cacao beans, pummel them to pieces, and what you have are crunchy, somewhat bitter cacao nibs. Think of them as a barely-processed form of dark chocolate, and a more significant source of feel-good antioxidants. They're great sprinkled on oatmeal, yogurt, cottage cheese, and even salads. Keeping your fridge well stocked with this green giant could help you jump for joy. A Harvard School of Public Health study discovered that people with higher blood concentrations of carotenoids, a category of antioxidant, were more likely to have an optimistic outlook on life. Carotenoids include beta-carotene, alpha-carotene, lycopene, and lutein, all of which are plant pigments responsible for the bright hues of various vegetables and fruits. They also have many immune-strengthening properties. It just so happens that kale—as well as most fruits and vegetables—is rich in carotenoids. It should come as no surprise that in the aforementioned study, vegetable and fruit intake was a good predictor of carotenoid status. How to use it to boost your mood: Kale is a great way to load up on carotenoids, as it supplies stellar amounts of beta-carotene and lutein. It can be eaten countless ways. For convenience, you can look for containers of baby kale in the produce aisle which can go straight from clamshell to salad, stir-fry or smoothie, with no slicing required. Tomatoes, sweet potato, bell peppers, apricots, spinach, butternut squash, and red grapefruit are other good sources of carotenoids to help you feel like a million bucks. Eat them all often! What's more, this swimmer delivers high amounts of selenium, a mineral found to be important in supporting positive mood. Taking in enough selenium-rich food helps to maximize the activity of the antioxidant glutathione peroxidase. Low levels of this antioxidant may also contribute to emotional distress. How to use it to boost your mood: Smoked mackerel is available to go at many seafood counters. Use it to infuse a good vibe into salads, scrambled eggs, and sandwiches. Also, keep an eye out for surprisingly tasty canned mackerel alongside tuna and salmon. Scientists are increasingly demonstrating a link between our guts and our brains, and the growing consensus is that having a more robust population of healthy bacteria in your digestive track may help keep you chipper. A study in the International Archives of Medicine reported that women who ate a probiotic-rich yogurt twice daily for a month experienced less activity in certain arousal areas of their brains associated with emotional distress. Like other dairy products, tangy kefir is also a good source of vitamin B-12. Researchers in the Journal of Nutrition found a link between poor vitamin B-12 status and lowered mood. How to use it to boost your mood: Now readily available alongside yogurt in the dairy aisle, kefir often contains an even larger and more diverse population of probiotics compared to traditional yogurt, making it a mind-blowing addition to your grocery cart. Use kefir to bolster protein shakes or as a replacement for buttermilk in pancake batter. You can even pour yourself a glass and drink it straight-up. This ancient beverage is a great tool for fending off modern-day doldrums. A large review of studies conducted by researchers in China found that drinking three cups of tea daily was associated with a positive attitude. Further, a report published in Public Health Nutrition showed that study participants who sipped four or more cups of green tea daily reported having a more positive mood. There could be a couple of factors at play here. Tea, especially the green variety, provides catechin antioxidants that have been shown to support brain function and promote proper balance of the stress hormone cortisol. Further, a toasty mug of tea can supply you with L-theanine, an amino acid that appears to promote alertness. How to use it to boost your mood: For the best chance of keeping your spirits up, opt for loose-leaf tea, and steep it in hot but not boiling water for a few minutes so that more of its mood-enhancing compounds are released. You can also splurge on matcha tea. This green tea powder is made by grinding up tea leaves, so you end up with a substantial dose of feel-good compounds like L-theanine and catechins. Gardner, M. P., Wansink, B., Kim, J., & Park, S. B. (2014). Better moods for better eating? How mood influences food choice. Journal of Consumer Psychology, 24, 320-335. Massee, L. A., Ried, K., Pase, M., Travica, N., Yoganathan, J., Scholey, A., ... & Pipingas, A. (2015). The acute and sub-chronic effects of cocoa flavanols on mood, cognitive and cardiovascular health in young healthy adults: a randomized, controlled trial. Frontiers in Pharmacology, 6, 93. Judelson, D. A., Preston, A. G., Miller, D. L., Muñoz, C. X., Kellogg, M. D., & Lieberman, H. R. (2013). Effects of theobromine and caffeine on mood and vigilance. Journal of Clinical Psychopharmacology, 33(4), 499-506. Martin, F. P. J., Rezzi, S., Peré-Trepat, E., Kamlage, B., Collino, S., Leibold, E., ... & Kochhar, S. (2009). Metabolic effects of dark chocolate consumption on energy, gut microbiota, and stress-related metabolism in free-living subjects. Journal of Proteome Research, 8(12), 5568-5579. Stranges, S., Samaraweera, P. C., Taggart, F., Kandala, N. B., & Stewart-Brown, S. (2014). Major health-related behaviours and mental well-being in the general population: the Health Survey for England. BMJ Open, 4(9), e005878. Colangelo, L. A., He, K., Whooley, M. A., Daviglus, M. L., & Liu, K. (2009). Higher dietary intake of long-chain omega-3 polyunsaturated fatty acids is inversely associated with depressive symptoms in women. Nutrition, 25(10), 1011-1019. Lespérance, F., Frasure-Smith, N., St-André, E., Turecki, G., Lespérance, P., & Wisniewski, S. R. (2010). The efficacy of omega-3 supplementation for major depression: a randomized controlled trial. The Journal of Clinical Psychiatry, 72(8), 1-478. Mizoue, T., Kochi, T., Akter, S., Eguchi, M., Kurotani, K., Tsuruoka, H., ... & Nanri, A. (2015). Low serum 25-hydroxyvitamin D concentrations are associated with increased likelihood of having depressive symptoms among Japanese workers. The Journal of Nutrition, 145(3), 541-546. Jääskeläinen, T., Knekt, P., Suvisaari, J., Männistö, S., Partonen, T., Sääksjärvi, K., ... & Lindfors, O. (2015). Higher serum 25-hydroxyvitamin D concentrations are related to a reduced risk of depression. British Journal of Nutrition, 113(09), 1418-1426. Ganji, V., Milone, C., Cody, M. M., McCarty, F., & Wang, Y. T. (2010). Serum vitamin D concentrations are related to depression in young adult US population: the Third National Health and Nutrition Examination Survey. International Archives of Medicine, 3(1), 1. Battenberg, E. F., Hoffer, B. J., Bloom, F. E., & Steiner, A. L. (1972). Selenium: Biochemical Role as a Component of Glutathione Peroxidase. Journal of Histochemistry and Cytochemistry, 20, 293. Moorthy, D., Peter, I., Scott, T. M., Parnell, L. D., Lai, C. Q., Crott, J. W., ... & Tucker, K. L. (2012). Status of vitamins B-12 and B-6 but not of folate, homocysteine, and the methylenetetrahydrofolate reductase C677T polymorphism are associated with impaired cognition and depression in adults. The Journal of Nutrition, 142(8), 1554-1560. Pham, N. M., Nanri, A., Kurotani, K., Kuwahara, K., Kume, A., Sato, M., ... & Mizoue, T. (2014). Green tea and coffee consumption is inversely associated with depressive symptoms in a Japanese working population. Public Health Nutrition, 17(03), 625-633. Nobre, A. C., Rao, A., & Owen, G. N. (2008). 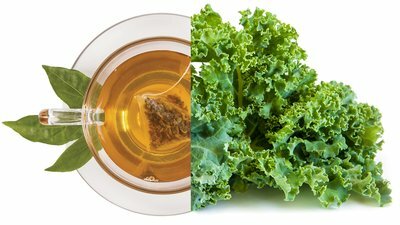 L-theanine, a natural constituent in tea, and its effect on mental state. Asia Pacific Journal of Clinical Nutrition, 17(suppl 1), 167-168.